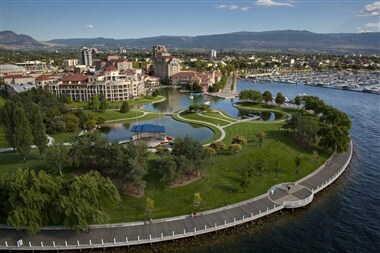 The Okanagan Valley and its gateway city, Kelowna are perhaps among Canada’s freshest meeting destinations in recent years. 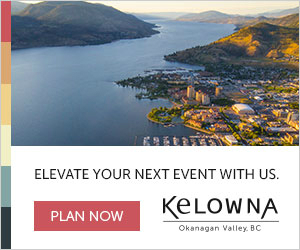 Kelowna is located in the middle of the Okanagan Valley and welcomes direct flights from major centres like Vancouver, Toronto, Calgary and Seattle. With over 4,500 guest rooms in the area, and a variety of styles and amenities, you’ll always find the perfect place to stay in Kelowna. The full spectrum of accommodation is available in Kelowna so you can be sure of finding the perfect property to match your budget. 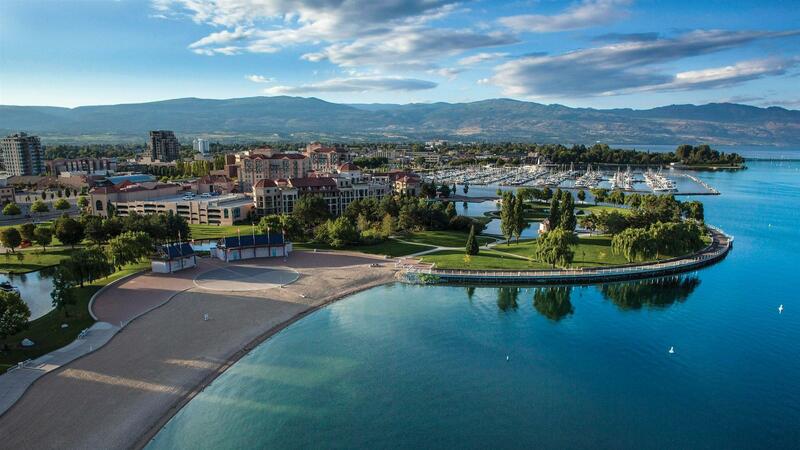 Whether you are looking for a lakeside resort, a quaint boutique-style hotel, deluxe, fully-stocked condominiums or more economical motels - you can find it in Kelowna. Sample the award winning wines & taste the purity that only organics and tradition can create.Our entertaining tours explain the process of traditional Sparkling Wine production and the fascinating story behind pyramid aging. Complete your visit with lunch or dinner at the Sunset Bistro and don't forget to stop in at Rio's DiVine Gift Boutique. Golf course architect Graham Cooke created an exceptional golf experience in utter harmony with the natural surroundings. 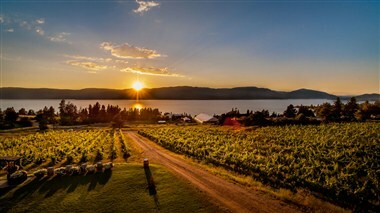 Meandering through a majestic hillside orchard, the award winning Harvest Golf Club offers magnificent golf and stunning views of the City of Kelowna and Lake Okanagan. At 7109 yards, The Harvest boasts 18 holes of championship golf. Wide, impeccably manicured bent-grass tees, fairways and greens contribute to the unique character of this course, featuring multiple tee areas to challenge the potential of every golfer. The Harvest is surrounded by 45 acres of fruit laden orchards and hillside vineyards…truly one of nature's most picturesque playing fields. The Harvest is complemented with a specialty golf shop, practice facility, full service clubhouse and staff that provide the utmost in customer service. Quails' Gate is owned and operated by the Stewart Family who strive to be one of the premium Pinot Noir and Chardonnay producers in Canada. Recommended by Wine Spectator in 2004 as a winery to visit for both their wine and their food, visit the Old Vines Patio & Restaurant and Wine Shop year round. A family-owned winery known for producing distinctive, internationally acclaimed wines in a dramatic setting that celebrates wine, food and the arts. With a timelessness that respects the family's European heritage, guests experience a quiet serenity in an elegant, yet contemporary setting overlooking Lake Okanagan. Available for private functions. Kelowna’s Cultural District is located in downtown Kelowna and was once the centre of the Okanagan Fruit Packing industry. Now home to artists and performers, the Cultural District offers a variety of activities and experiences for residents and visitors. The Kelowna Community Theatre, Kelowna Art Gallery, Rotary Centre for the Arts, the main branch of the Kelowna Library (Okanagan Regional Library system), all four Kelowna Museums and other exciting cultural facilities are situated within the Cultural District. The area also houses and assortment of private galleries, restaurants and unique shops. The Cultural District promises experiences that appeal to every age and interest. Within the District’s eclectic six blocks, there are also 18 pieces of Public Art on display, created by local, regional, national and international artists.